We provide shipping across Australia and New Zealand. Please contact us either by phone or email to make order enquiry. We will then send you an electronic invoice with payment details. Natural Red Palm Oil in a fully refined form (Cholesterol free). 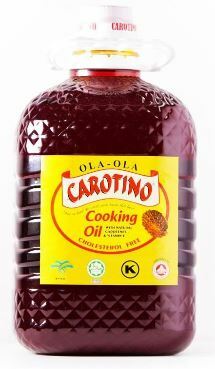 Ola Ola Carotino is ideally suited for all types of cooking especially African and Carribean Cuisine. No artificial colors or preservatives. Carotenes are not removed. Product of Malaysia. Carotino contains natural carotenes (Beta & Alpha) and Vitamin E which are natural antioxidants. This oil is cholesterol free and it is suitable for all types of cooking and as a salad oil. 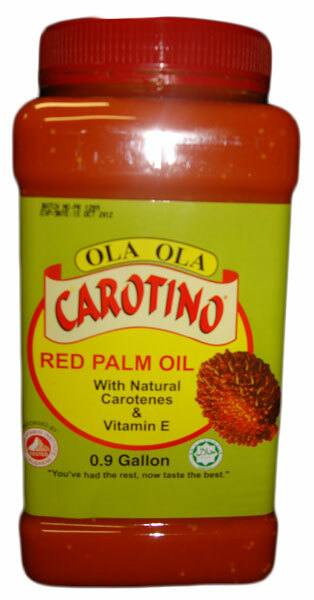 CAROTINO is a special blend of red palm oil and canola oil. Cholesterol-free Carotino combines the natural carotenes (Pro-Vitamin A) and Vitamin E from red palm fruit oil with heart-friendly Omega 3 and 6 fatty acids from Canola oil. Red palm fruit oil should not be confused with unhealthy palm kernel oil, which has a completely different chemical composition. The Healthier Oil for Cooking & Salad Dressing. 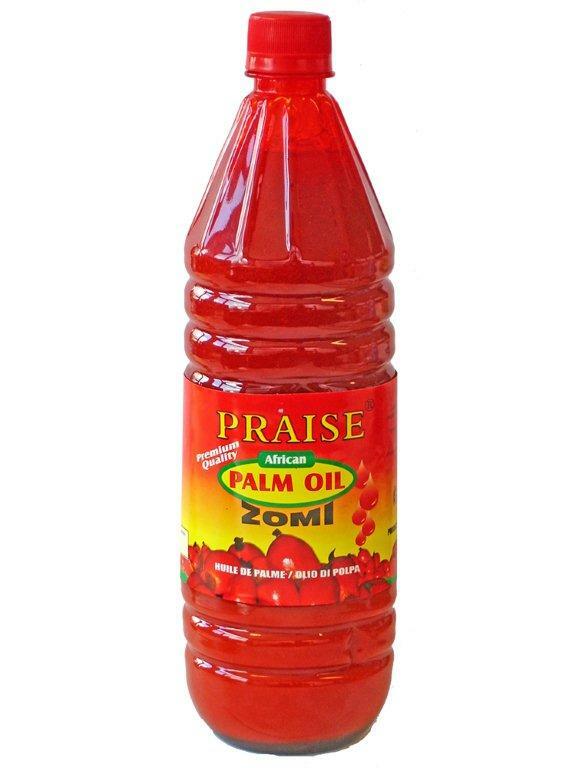 100% Pure un-refined red palm oil. NT Red Palm Oil is 100% natural and produced without the use of chemicals or preservatives. The oil is not refined, bleached, or deodorised and therefore retains all the goodness of its original ingredients. NT Palm oil is rich in vitamins and nutrients, high in antioxidants and without the impurities found in other oils. 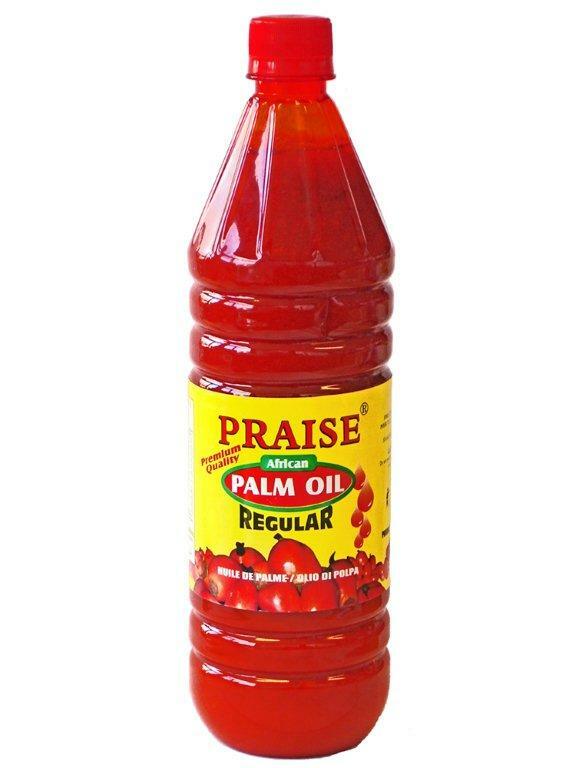 100% Pure un-refined red palm oil. A rich and flavoursome alternative to our pure Red Palm Oil, GT Zomi provides a unique spicy flavour. it is produced using traditional hand-crafting methods unique to this region and handed down through generations. 100% Pure un-refined red palm oil. Product of Ghana. Available in 12 x 1 litre.